On the back of the new bilateral air services agreement which has almost quadrupled capacity, Etihad Airways, the national carrier of the United Arab Emirates, will greatly increase both seats and flights for travel to and from India, introducing more flights and wide-bodied jets by the end of this year, and further increases and new routes next year, subject to regulatory approval. From 1 November this year, Etihad Airways plans to more than triple the number of seats it now offers on the prime Abu Dhabi – Mumbai and Abu Dhabi – New Delhi routes, reflecting the growing importance of the Indian market, and delivering significant economic benefits to the economies of India and Abu Dhabi. Enriching the expanded schedules will be new connection opportunities between Etihad’s global network and its expanded Indian services, via the airline’s Abu Dhabi hub. The President and Chief Executive Officer of Etihad Airways, James Hogan, said: “India is one of the world’s fastest-growing destinations, and a key market in the growth strategy of Etihad Airways. Specific details of new routes between Abu Dhabi and India and codeshare services with Jet Airways will be announced progressively, as approvals are received and operational details are finalised. Separately, Jet Airways is set to move its international scissors hub for services to the United States to Abu Dhabi from Brussels. 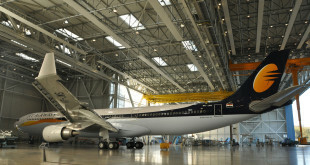 Jet will launch Mumbai-Abu Dhabi-Newark, Bangalore-Abu Dhabi-Chicago, and Delhi-Abu Dhabi-New York JFK. 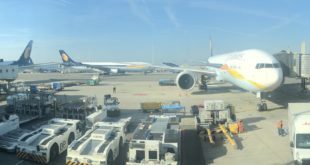 Interestingly, no mention has yet been made of services to Toronto, which Jet Airways currently serves as the final leg of its New Delhi – Brussels – Toronto services. However, Toronto-India traffic is notoriously low yielding. Furthermore, the UAE and Canada have a tense bilateral agreement, so it’s likely that Jet might not even be allowed to operate to Toronto via Abu Dhabi. Either way, the massive expansion from Jetihad brings the carrier to parity in the Indian market with Middle Eastern rival Emirates, who generates 12% of its network traffic from India. As the Jetihad partnership continues to solidify, expect to see more Indian expansion from both carriers.